It has been seven years since Amy Winehouse’s death and after speaking with her first manager three years ago, I can’t listen to “Rehab” the same way again. Turns out the hit was quite autobiographical; the manager, Nick Shymansky, along with others believed the artist needed help. Shymansky actually tried to admit Winehouse; the singer responded by deferring the decision of whether she should go to her father. Despite working out a plan ahead of time with her manager, Mr. Winehouse told his daughter that she didn’t need rehab… just like she would end up writing in the song. If you or someone you know is battling a substance abuse or mental health issue, the National Helpline for the Substance Abuse and Mental Health Services Administration is 1-800-662-HELP (4357). The next time you hear “Uptown Funk,” the infectious anthem birthed by DJ/producer Mark Ronson and recording artist Bruno Mars, think about this: it almost never was. Good thing he did. A billion-view music video, Super Bowl Halftime Show performance, double-GRAMMY nomination and 9-times RIAA platinum certification later, “Uptown Funk” has gone on to top the 2015 year-end charts in seven different countries. Additionally, it sits as 12 on Billboard’s all-time Hot 100 chart here in the U.S.
“Now when I hear it and I just see people like go wild or dance or light up, it’s great,” Ronson told me, noting that he forgets about the long, stressful nights that went in to the record’s creation. Coming off last weekend’s Super Bowl Halftime Show, Ronson and Mars now look to take home hardware on music’s biggest night. The GRAMMYs air Monday on CBS from Los Angeles, and “Uptown Funk” is up for Best Pop Song Duo/Group Performance and one of the evening’s biggest awards: Record of the Year. 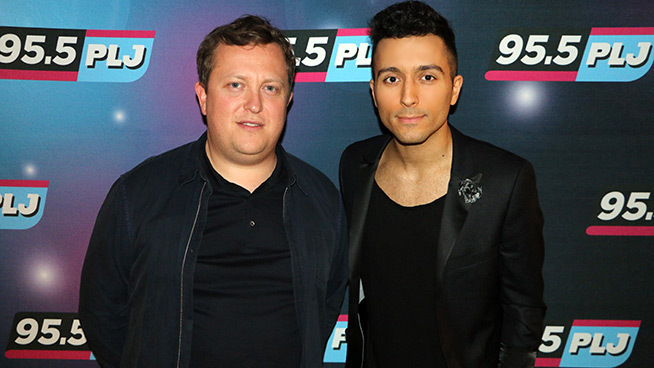 The DJ/producer has three GRAMMYs in-all, also nabbing Producer of the Year, Non-Classical and Best Pop Vocal Album in 2008 – a year that belonged to the late Winehouse. “No one’s ever going to live up to Amy, you know in the way she was such a singular, incredible artist,” Ronson said of her. But while the two are never compared (and rightfully so), when MTV wanted to pay homage to Winehouse on the 2011 Video Music Awards, they called on one artist. 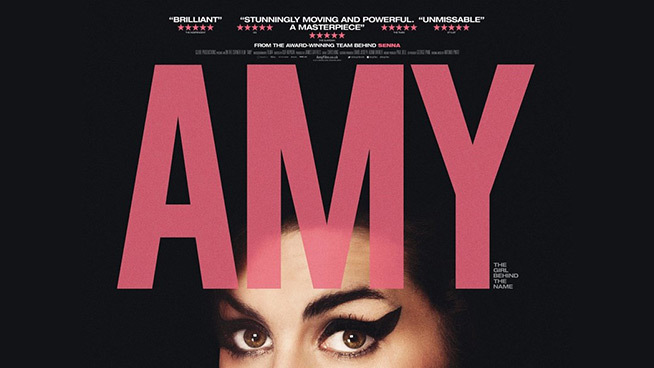 As chronicled in the new documentary Amy, almost anyone who came in contact with the late Amy Winehouse experienced some type of very intense, dark time with her, especially later part of her 27 years alive. Yet it takes almost no effort for her first manager Nick Shymansky to recollect brighter moments he spent with the gifted singer. “Because we were flown out by the label, we decided to make the most of it,” Shymansky, the nephew of Universal Music Group’s Lucian Grainge and current Senior A&R at Island Records was telling me on “Ralphie Tonight” during a story about how he and Winehouse were in New York City. They had a meeting with her label that didn’t go as planned; due to the lack of “heat” around the artist at that particular moment, label execs were pumping the breaks on releasing Winehouse’s first album Frank in the States. Winehouse went to town in the once-booming store (Shymansky believes they were at the former Upper West Side location), not taking in to account anything – whether it be the price of the records nor the tax and shipping cost to send them all back to the UK. Shymansky contributed over 12 hours of footage he taped to the piece, which was directed by Asif Kapadia. He, along with rapper Mos Def, producer Mark Ronson and many other friends and family of Winehouse’s, sat down with Kapadia for audio-only interviews that are woven throughout the two-hour-plus film. The singer’s former manager cooperated with the filmmaker in part to help show different sides to Winehouse’s personality and artistry; perhaps those neglected and/or ignored by the media that maligned her until she died of alcohol poisoning in July 2011. 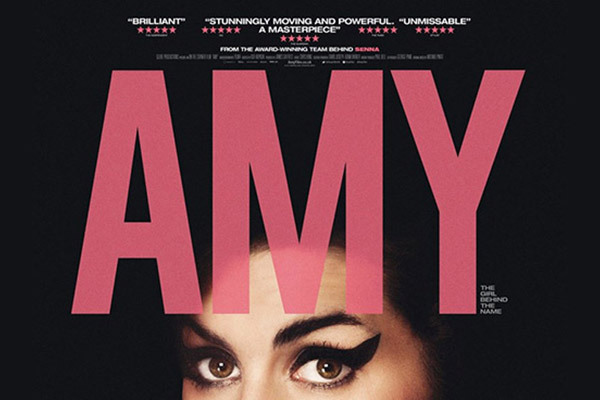 But the film is honest and comes with its share of cringe-worthy moments: watching Winehouse stumble in front of tens-of-thousands on stage, the singer’s mother admitting that she missed early signs of bulimia and Winehouse’s father Mitch showing up to Sr. Lucia, where his daughter was supposed to be recovering on while avoiding the media… with a reality-show camera crew in tow. From that proximity, it is hard not to see why after viewing Kapadia’s final cut, Winehouse’s father decided to disassociate the family from its release. In addition to the aforementioned incident on the island, Mr. Winehouse also plays an integral role in the creation of his daughter’s breakout hit, “Rehab.” Shymansky actually tried to admit Winehouse; the singer responded by deferring the decision of whether she should go or not to her father. Despite working out a plan ahead of time with her manager, Mr. Winehouse told his daughter that she didn’t need rehab. Of course, you know this by simply listening to the song, which is almost a verbatim play-by-play of the entire situation. Shymansky could have easily forgotten about Winehouse altogether after his refusal to leave the company he worked for, 19 Entertainment, led to the singer switching managers prior to the release of Back To Black. But Shymansky still cares very much about the singer and her lasting legacy, knowing full well that his discovery of Winehouse helped cement his own credibility in the industry. 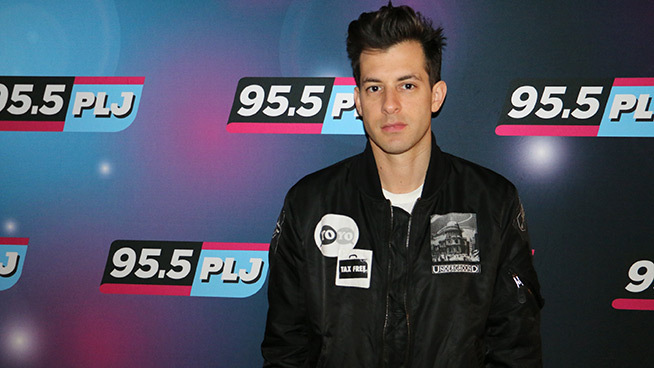 Mark Ronson, tall on knowledge but short on sleep, stopped by “Ralphie Tonight” to chat about his number one hit that almost never was. Ronson also talked about the media comparing new artists to others that have come before them and what it’s like to perform alongside the likes of Bruno Mars and Mystikal. The DJ and producer recalled growing up in New York City, and opined how Manhattan has changed since he was a kid on the Upper West Side. Ronson’s album, Uptown Special, is on Rdio now. Lady GaGa mistaken for Amy Winehouse? Our girl Lady GaGa does indeed dye her hair and with good reason. Turns out a reporter once had mistaken her for Amy Winehouse. Crazy, right? I don’t know about you but I’m not really seeing a comparision. GaGa did call Winehouse “badass” and simply wants to be her own person and known for her own style. Well, I don’t blame her. did amy unknowingly help hubby get high in jail? last week news broke of blake fielder-civil suffering from a heroin overdose in prison. it poses the question – how does one go about obtaining illegal drugs while incarcerated? for starters, a famous wife helps. apparently, blake swapped signed winehouse photos with his fellow inmates in exchange for the goods. read more about the alleged transactions here. the ralphie report – grammy edition. On Sunday night, Amy Winehouse reaffirmed her position as an artist that can perform, inspire, and revolutionize what we know as contemporary music. The British singer won 5 of the 6 Grammy awards the Academy nominated her for, including Record of the Year and Song of the Year for the track that may define Wino’s career – Rehab. Due to problems with renewing her Visa, as well as the ongoing rehab stint, Winehouse performed and accepted one of the five awards via satellite in London’s Riverside Studios. Here on WYOU, we watched the Amy Winehouse that America fell in love with over the summer. The Amy Winehouse with swagger and confidence. The one that appeared to scoff at you while belting out the memorable, authentic, “No, No, No!” when they asked her to go to rehab. The intervention of her father, Mitch, led her to a different response when they proposed another stint in rehab last month, just after video surfaced of the bee-hived singer as a blond, smoking what appeared to be a crack pipe. “I’m useless to you anyway now, I just took about six valium,” slurred Winehouse in the grainy footage. With a Grammy debut that ended with five pieces of hardware and one brilliant performance, it’s doubtful that people will regard Winehouse in such a dreadful light for the time being. Now the blogs and vlogs have new material – like her reaction on live TV to winning Record of the Year. Overcome with shock, Winehouse embraced band members and her parents, thanking them while also offering up her second shout-out of the night to locked-up husband Blake Fielder-Civil . “For my Blake incarcerated, and for London! This is for London!” Winehouse emotionally proclaimed. This success may be for her home city, but by all means, you can’t deny the British vocalist’s All-American comeback story. – Prior to the show’s start, Kanye West already coroneted himself a Grammy winner. Yet, for the third time, the Album of the Year Grammy escaped him, awarded to jazz musician Herbie Hancock. Despite this, West still stole and extended the spotlight. While accepting his Grammy for Best Rap Album, producers began to play the “wrap-up” music right before the Chicago-rapper entered into a tribute to his mother. West politely asked the Academy to kill the music, and they obliged. Kanye also paid homage to his late mother, Dr. Donda West, earlier in the night with his performance of Hey Mama. West won four Grammys. West smiled it off. After all, no egos would be injured in the production of this awards show. – Reading’s Taylor Swift appeared in her first Grammy’s, presenting an award and losing Best New Artist to Winehouse.